Brilliant bright siam color. Fruity, floral aromas of candied apples, hibiscus tisane, grape candies, vanilla-butter streusel, rose petals in syrup, and graphite with a satiny, crisp, dryish medium body and a smooth, engaging, medium-length cocoa butter, lime pop, and vanilla-sandalwood finish with no oak flavor. A rich wine with structure that makes it a great "pairing rose". 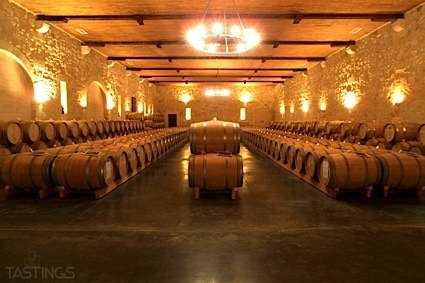 Bottom Line: A rich wine with structure that makes it a great "pairing rose". 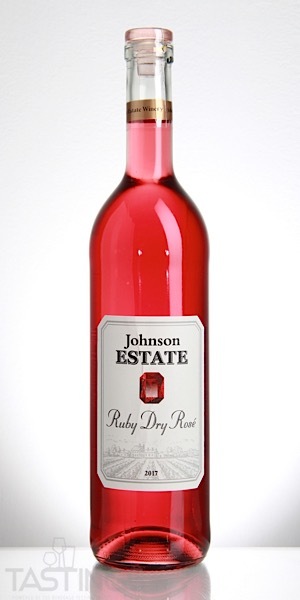 Johnson Estate 2017 Estate Grown Ruby Dry Rosé, Lake Erie rating was calculated by tastings.com to be 90 points out of 100 on 8/23/2018. Please note that MSRP may have changed since the date of our review.